Knot*Knots online cable configurator has been extended by euro extension cords and euro feed cables as well as four new rope colours. Thus the number of individual configurations is now up to 2.500! Following the new TPPD logo, here comes the new TPPD website: modern responsive web design, new works, in-depth project details and a separate client page. Enjoy! TPPD redesigned the Knot*Knot website, amongst others with new letterpress, new images and revised texts. 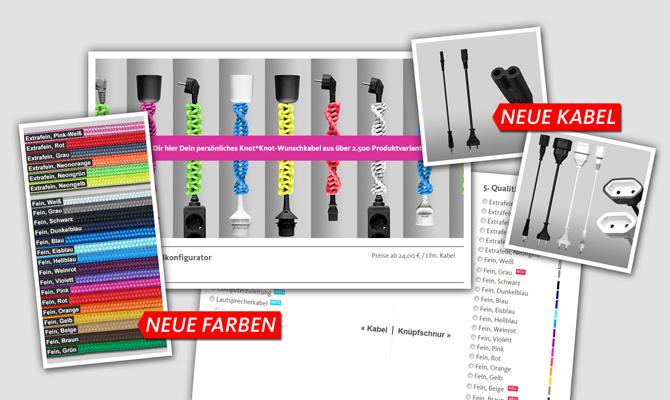 The online shops cable configurator has become even more user friendly. And the shops product range has been extended, so that customers can now order the DIY books and the DIY paracord bracelets. TPPD’s Portfolio now shows an overview about the brand development for artiva Sports, originated as „Lead Designer Product & Graphic“ for faireurope Deutschland GmbH. The photo shows a group of runners at this year’s TUI Marathon Hannover, where artiva acted as exclusive outfitter. 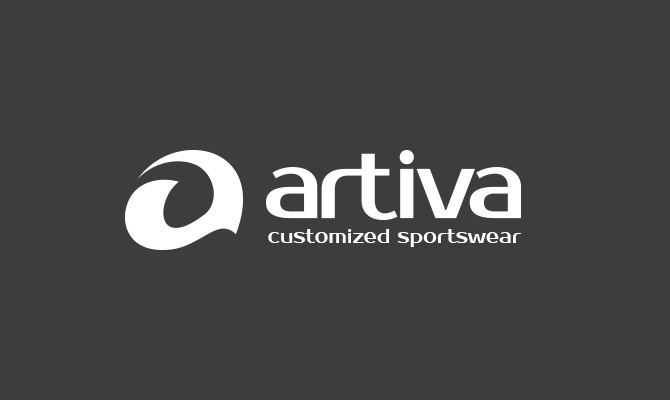 artiva Sports offers high quality customized sportswear including jerseys, pants, merchandising equipment and more. The services of the young Berlin company include individual design and marketing strategies for sports such as running, cycling, football, handball, basketball and volleyball. 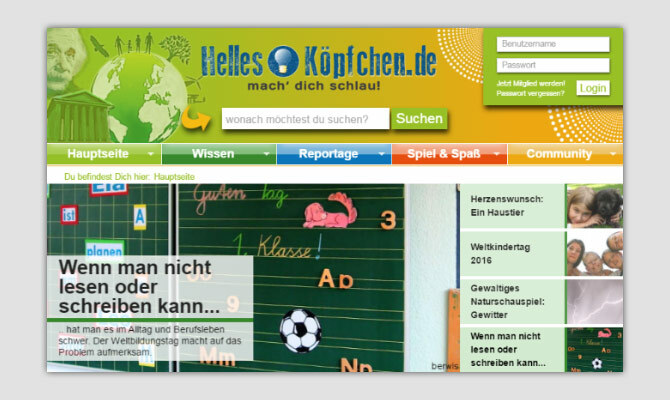 TPPD carried out the conception, design and editorial for their recently launched website. More information here. 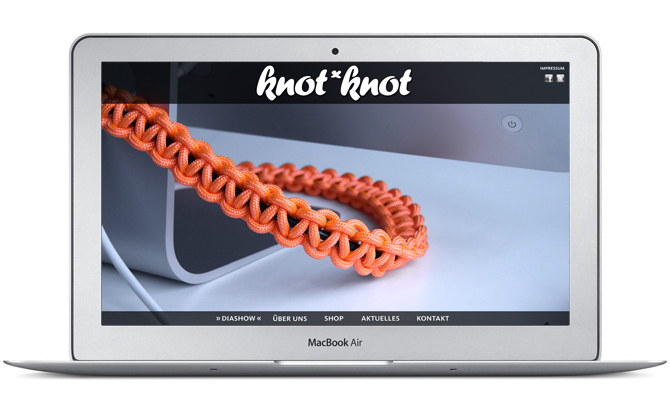 We are happy about the large response regarding Knot*Knot’s new online shop for fancily knotted cable products. Prospective buyers can choose from an extensive range of custom-made itmes by picking their desired cable type, cable length, knotting style and rope colour. All press links can be found on Knot*Knot’s Facebook page. Boring cables everywhere you look? Time for a change! 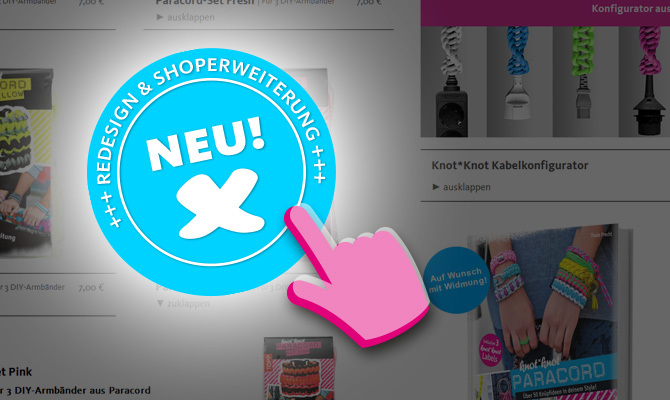 TPPD’s Berlin label Knot*Knot now offers a wide range of cable products hand-knotted with high quality ropes. 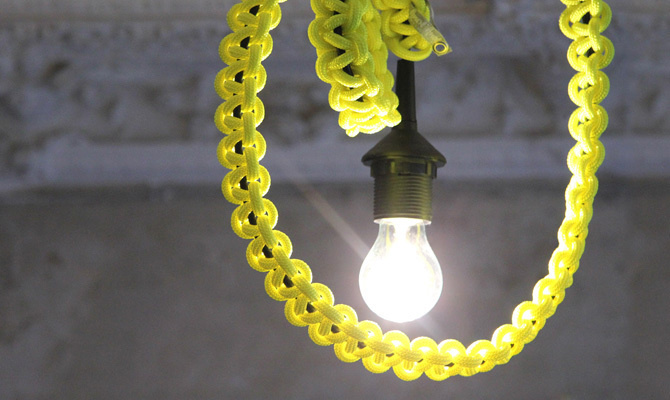 Intense colours and different knotting techniques make them a bold statement in contemporary interior design. More images and information here. 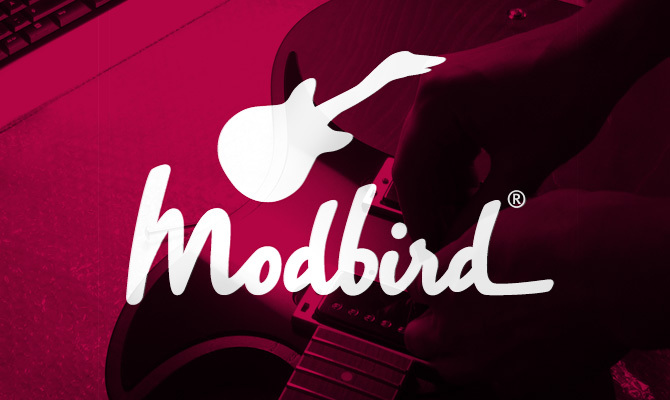 In just two clicks, the “Essential Modbird Guitar Generator” on www.modbird.com will give you a playful idea of what we’re up to. Via Facebook and Twitter we’ll keep you informed about the process of development. More information here.